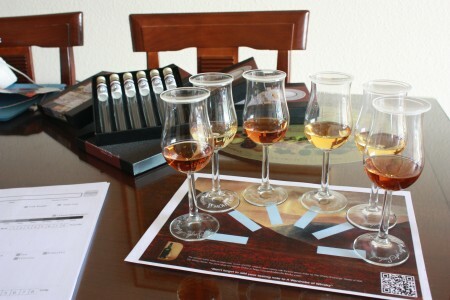 Read stories about Auchentoshan of A Wardrobe of Whisky blog. 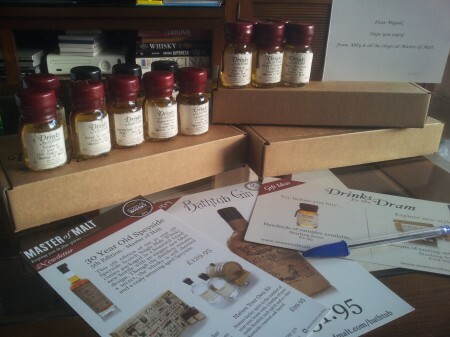 I am back with daily tasting notes for the malts that I enjoy most. So let’s begin with a great Lowlands Single Malt Whisky from Auchentoshan distillery. Palate (91): powerful, oily. honey, sherry, nuts, spices, citrus, cinnamon, cocoa, fruits. So based on other whiskies I have already tasted I rate this Auchentoshan Three Wood Lowland Single Malt Scotch Whisky with 90 points over 100. A more recent release from the Auchentoshan distillery, replacing the previous staple 10 year old, this 12 year old bottling exhibits the new, slightly Imperial aesthetics Auchentoshan have rebranded themselves with. Nose (90): more than average. sweet, fruity, peaches, spices, a little floral. Palate (88): light, smooth, dry. sweet, peaches, wood, spices, floral. Finish (85): average. honey, floral, spices. So based on other whiskies I have already tasted I rate this Auchentoshan 12 year with 88 points over 100. A single cask from the Lowland distillery Auchentoshan, known for its classic style and orchard fruit character. This was bottled as part of the Vintage Malt Whisky Company's Coopers Choice range. Nose (81): strong. floral, a littlehoney, a littlevanilla, a bit cinnamon. Palate (90): light, powerful. floral, wood, honey, vanilla, pepper. Finish (84): longer than average. floral, honey, wood. 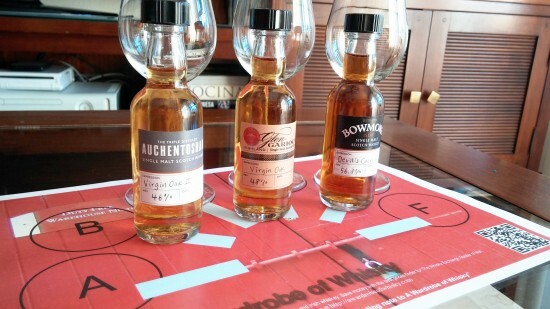 So based on other whiskies I have already tasted I rate this Auchentoshan 1991 Coopers Choice with 85 points over 100.